For certain criminal offenses, such as driving under the influence (DUI), community service can be part of a convicted individual’s sentence. Sometimes, community service is sentenced in place of another penalty, such as jail time or a fine, or it is part of another penalty, such as probation. When community service is part of one’s probation, it is overseen by the individual’s probation officer. Individuals sentenced to community service must pay a $30 insurance fee. Once community service is assigned, it is an act of contempt of court for a convicted defendant to willfully miss his or her assigned work. This has additional criminal penalties of its own and if community service is part of one’s probation, could lead to his or her probation being revoked. 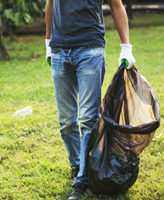 If you are assigned to community service after being convicted of a criminal offense, it is necessary that you take your assignment seriously. If a legitimate medical condition prevents you from performing the work you are assigned, talk to your lawyer about altering the assignment with the court. If you are required to complete community service as part of your probation, your supervising officer will assign you to a community service agency to find appropriate work for you. Your case’s circumstances can play a role in determining which types of work you can perform. Any mental or physical disabilities you have are also considered when assigning you to a community service role. The number of community service hours an individual is required to perform is generally determined by valuing the work performed against the “weight” of the individual’s sentence. For example, an individual sentenced to community service in place of a $1,000 fine will perform an amount of work that would be compensated at about $1,000. Various nonprofit organizations work with state and county governments to provide community service positions. One of these is Goodwill Industries. If you are required to perform community service, you could work with one of these nonprofits or with a government agency directly. In this latter scenario, an individual may be required to work with a road crew picking up litter and laying sandbags. In some cases, an individual may be assigned to a job directly related to his or her offense, such as an individual convicted of DUI talking to high schoolers about the dangers of driving drunk. When you are facing a criminal charge, you are facing a variety of penalties. If you are convicted, the court has the discretion to sentence you to one or more of these penalties, which can include community service in some cases. Talk to an experienced Miami criminal defense lawyer about the penalties you are facing and whether your defense strategy could increase your likelihood of being sentenced to one, rather than another. Contact our team at Ratzan & Faccidomo, LLC today to schedule your initial consultation with us.